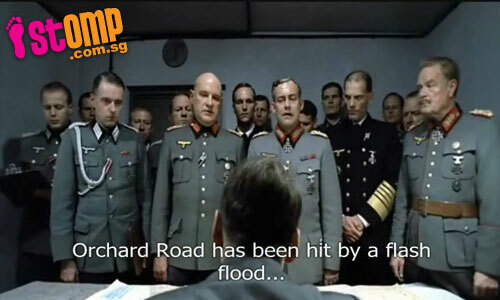 Remember the flood at Orchard Road that was widely publicised? The song is damn catchy too. I think it can be Singapore national day song already. Or the official Orchard Road flooding music video. Everyone will be singing to it in no time. I wonder who's the fella behind this song. Confirm the police will be looking for him soon.